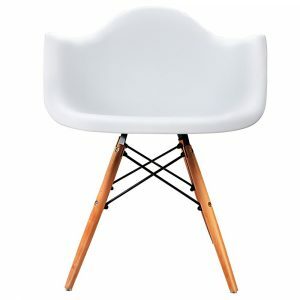 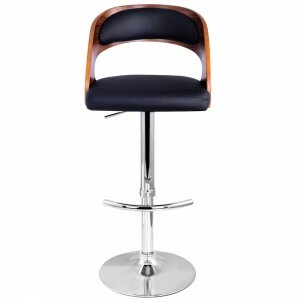 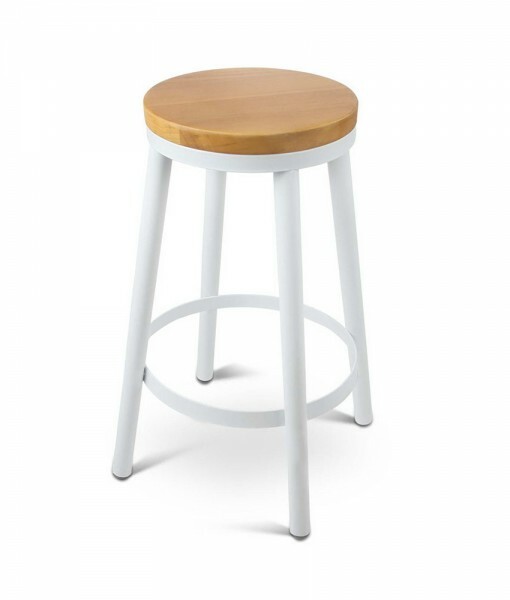 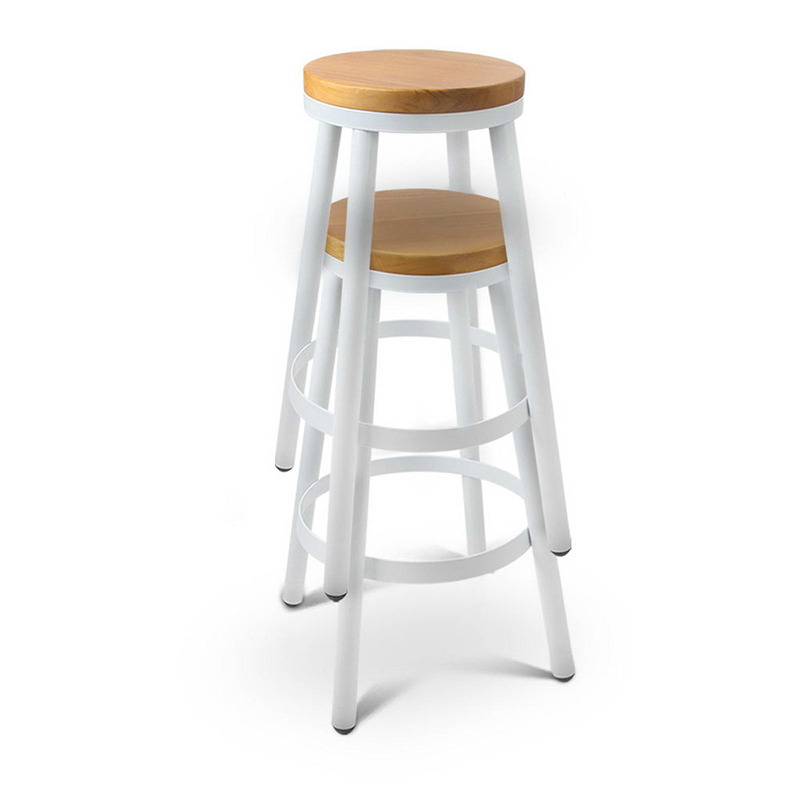 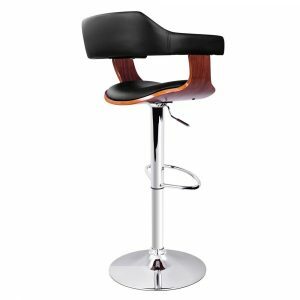 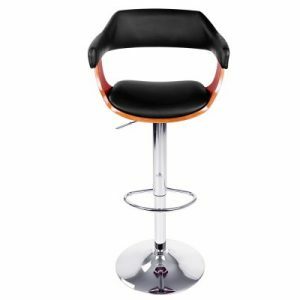 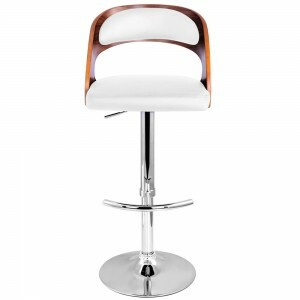 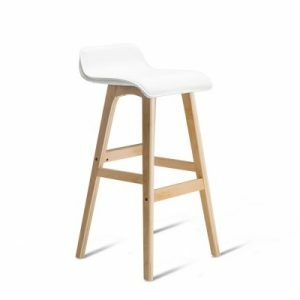 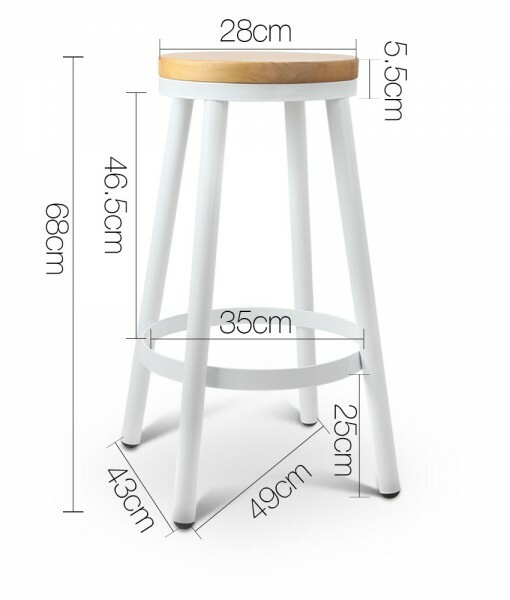 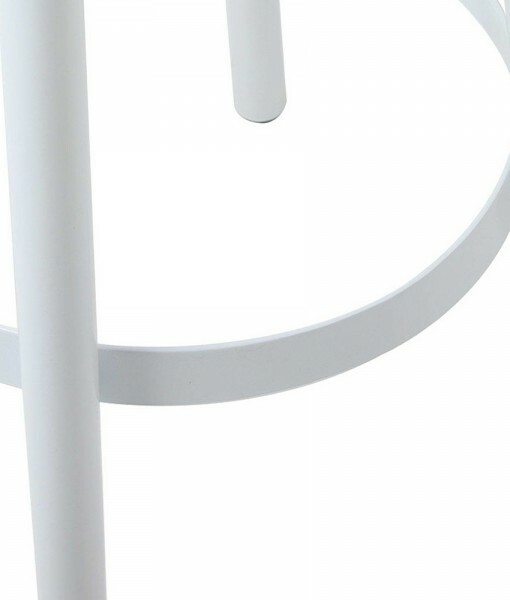 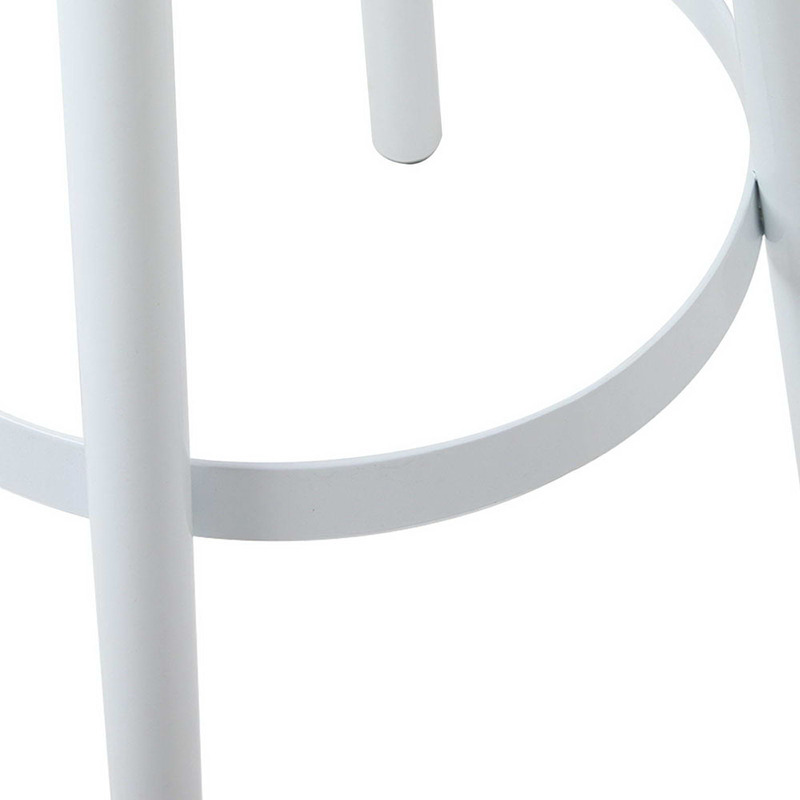 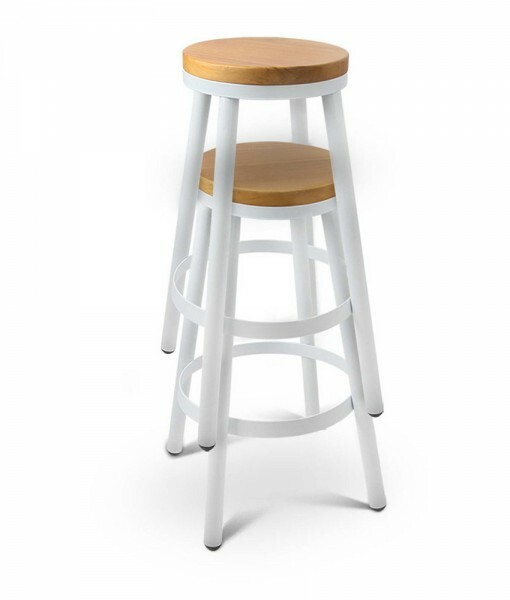 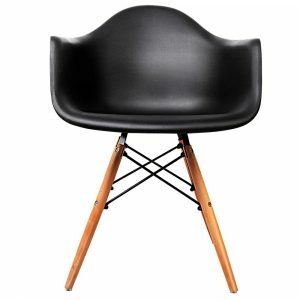 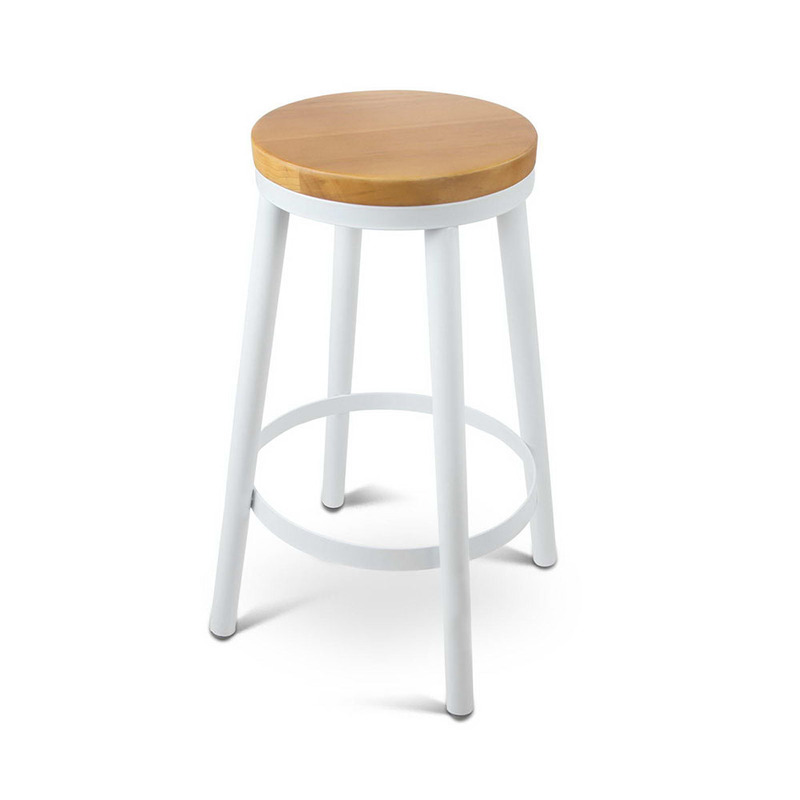 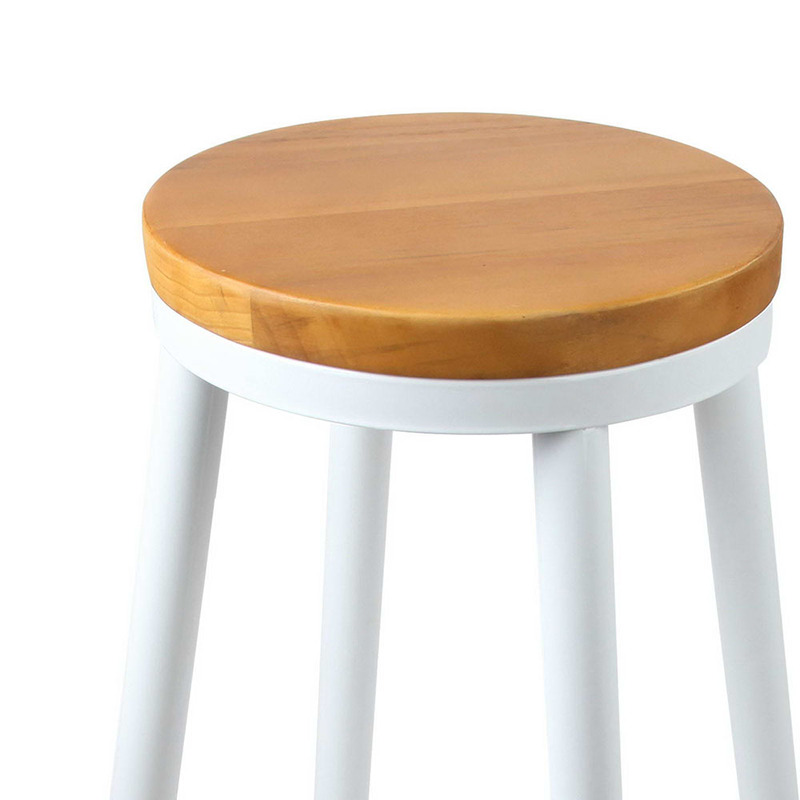 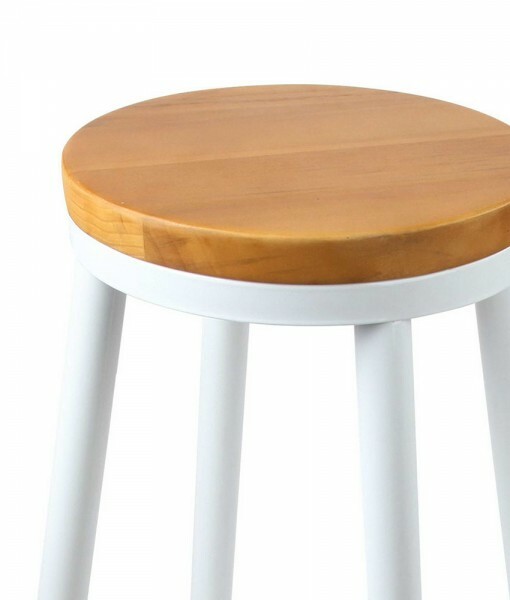 Made of heavy duty and sturdy steel, topped with wooden seat; it is a well made bar stool that will last for a long time in your space. 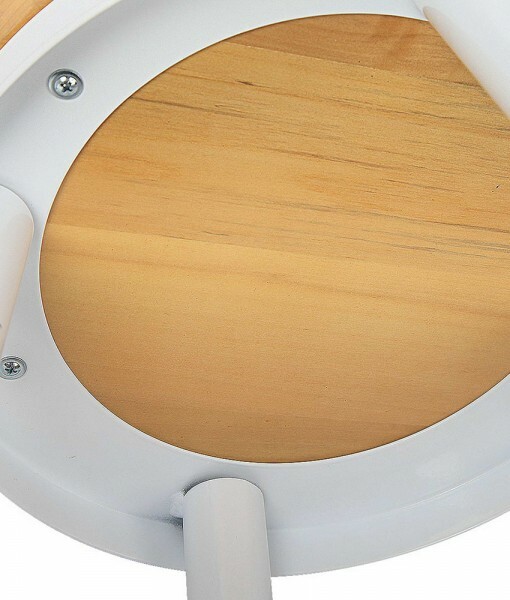 Equipped with floor protector, it won’t leave any mark on your floors at all. 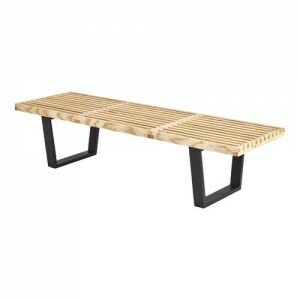 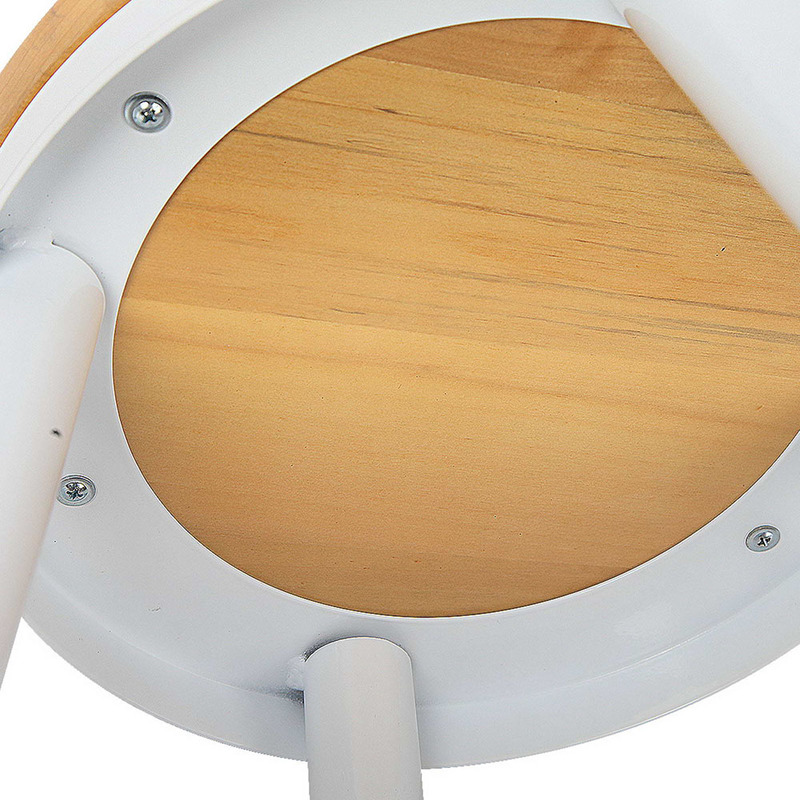 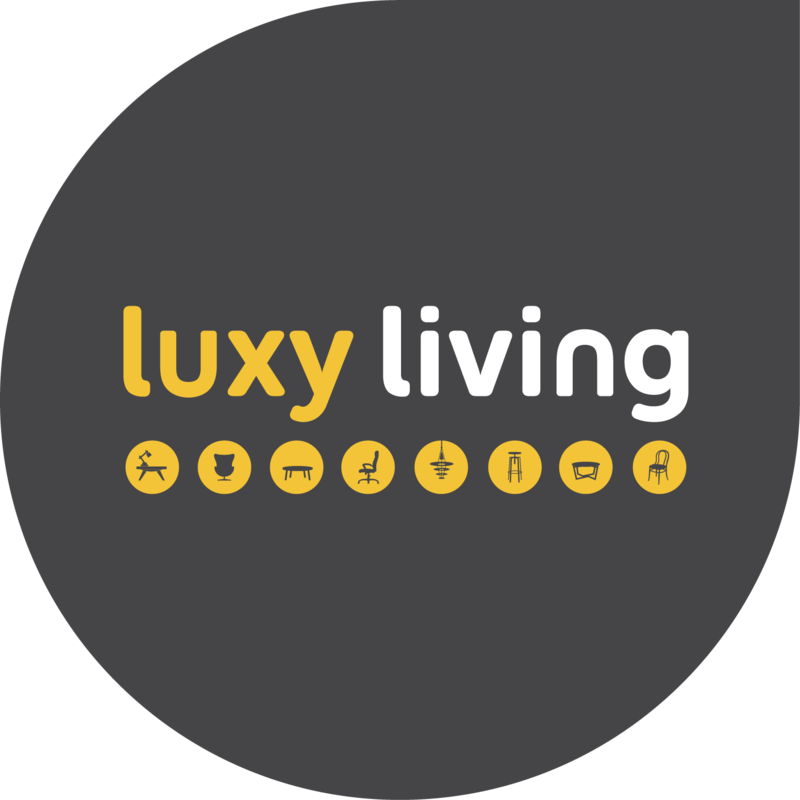 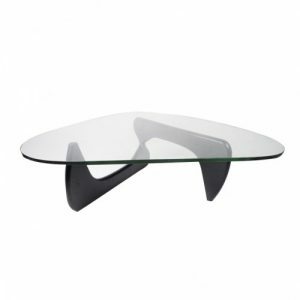 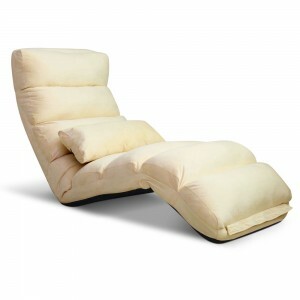 Designed with a bar around the base that acts as a footrest, you’ll be able to sit comfortably and rest your legs well. 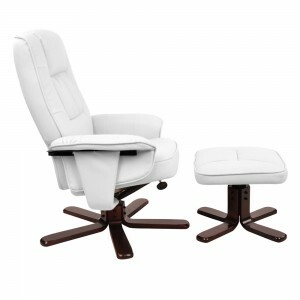 Plus comfortable wide seat, let you sink into conversation for hours without noticing at all. 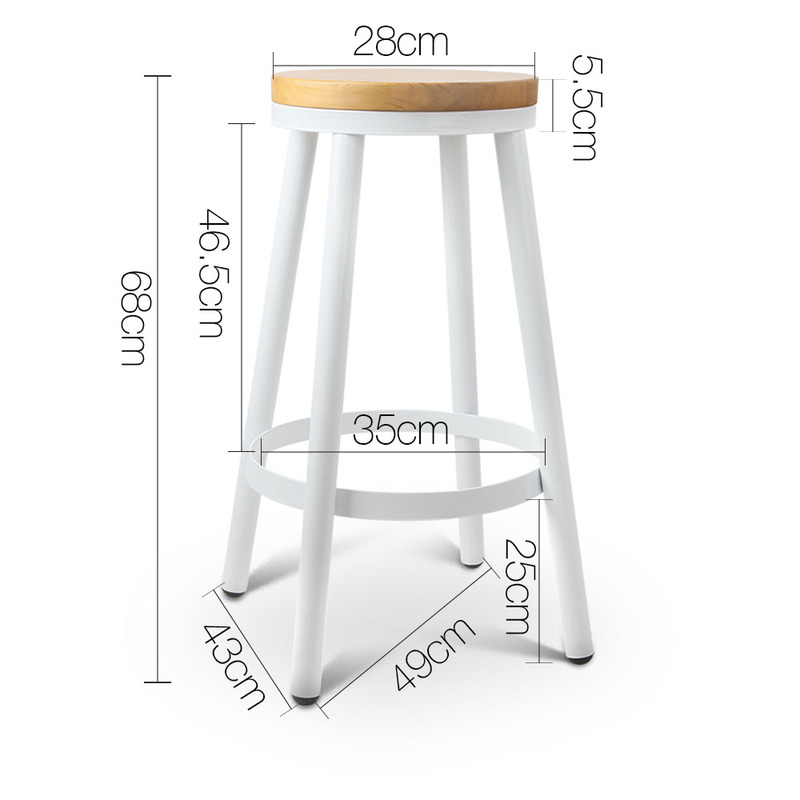 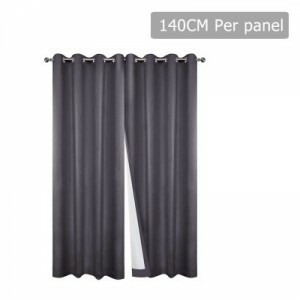 Suitable for home, restaurant or cafe, it can be placed at any spot you like it to be. 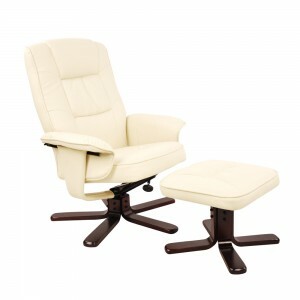 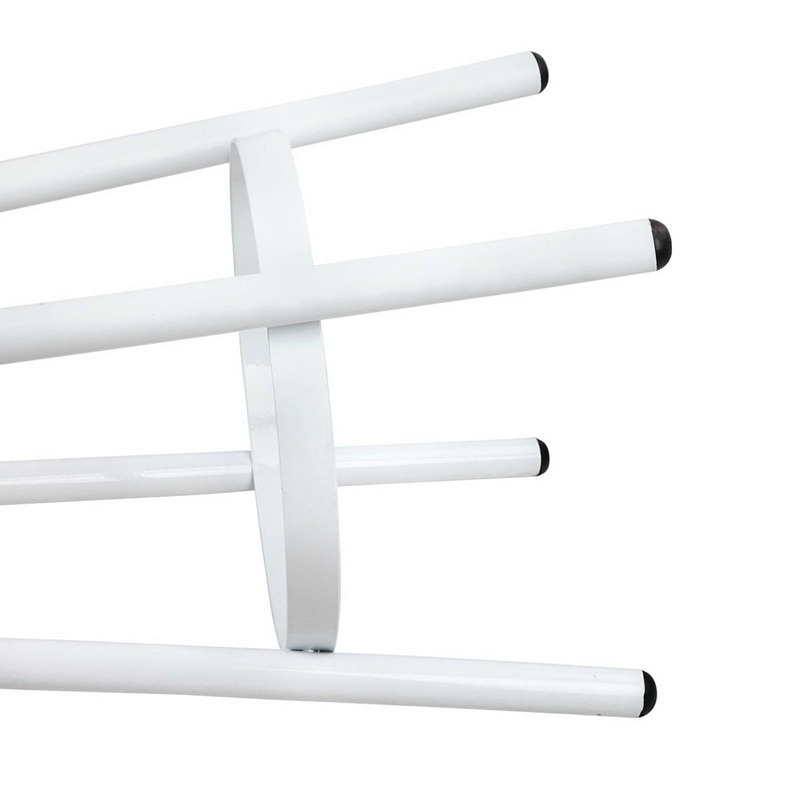 Recommended weight capacity of 120kg, it is suitable for almost everyone. 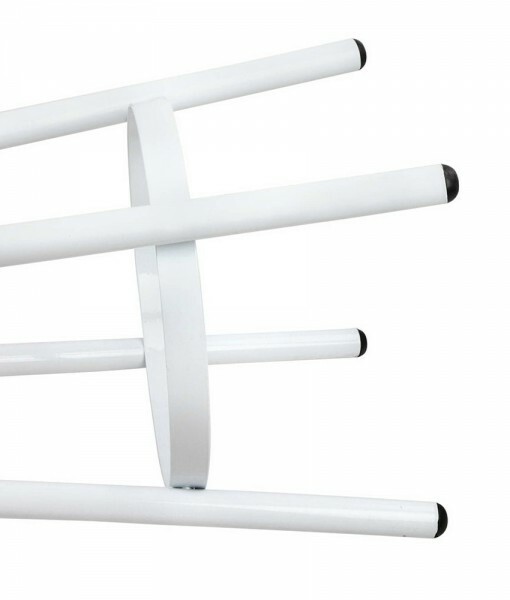 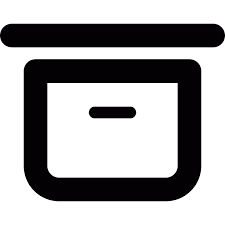 With its stackable design, you can keep it away after used and bring it out whenever you need them.